As a CE coordinator, it is likely that you’re involved in multiple critical areas of CME management for your medical association. While you’re probably well aware that much of your time is spent on tasks which could be delegated to others, you might not have the time to develop a smooth process for transferring responsibilities to other members of your staff. You need to find a way to be more productive, but a continual flow of administrative issues always seems to complicate your efforts. In this post, we are going to look at three simple ways to protect your time and increase your CME productivity. If you’re using an all-in-one CME management platform like EthosCE that handles records management, data collection, and support calls for you, then this section won’t apply to you. If you aren’t, then the following CME productivity killers may have siphoned off your most valuable resource—time—and left you struggling just to keep up with daily tasks. Let’s take a look at how you can overcome some of your most significant administrative challenges. In the pre-digital era, the sheer volume of documents generated by many businesses required full-time file clerks, who spent their days collecting, organizing, and distributing paperwork. Today, the amount of paperwork that businesses create hasn’t decreased, it became virtual, and file management is now a part of everyone’s job. For many CE coordinators, finding the right records management system is a time-intensive task that seems to never end. That’s because, in order to comply with ACCME records keeping standards, CE coordinators must maintain extensive documentation of CME activities during the term of accreditation. That includes an activity’s participation rates, curriculum standards alignment, learner outcomes, and performance-in-practice narratives, as well as detailed accounts of the activity’s planning process. Every aspect of your CME curriculum—from ideation to the analysis of learner outcomes—has to be documented, and then translated into insights that will serve as the basis for future Self-Study Reports. Take a long, hard look at your current records management system’s performance. Are you spending time trying to find ways to make important information easier to access? Do you have to manually review activities data and then search through ACCME regulations to determine if the information collected meets current records keeping and PARS submission standards? If so, you’re fighting a losing battle with a data management structure that will continue to thwart your CME productivity, regardless of how much effort you devote to making it more efficient. Increase your CME productivity by using a CME management platform that incorporates records management and automated PARS data submission. Along with records management, efficient data collection is one of the pillars of your CME’s ACCME compliance. Missing or incomplete data can make the findings of your Self-Study Report inaccurate and compromise your bid for reaccreditation or Accreditation with Commendation. However, the biggest problem for many CE coordinators isn’t where to find critical program data, but how to collect it all. Take your LMS for example. ACCME regulations mandate that activity participation rates be collected on a regular basis. Accredited providers must also have a system in place to record and–with the consent of the participating physician–verify learner participation for six years from the date of the CME activity. If your program experiences a sudden uptick in registrations, then an inability to scrape and store LMS user data may put your association at risk of non-compliance. As your subscriber base grows, the method that you use to manage data collection from your LMS must be able to scale. LMS data collection shouldn’t be a job that you—or your staff has to do manually. Automated data capture should be an integral part of your LMS. Are you spending time verifying the accuracy of information that you’ve gleaned from your LMS? Is new registrant data simple to access and compile? If not, then it’s likely that your LMS is hindering your CME productivity. Use a scalable LMS—like EthosCE that doesn’t require effort on your part to collect and store user data. While you know that you’ll never completely eliminate support calls, you might be wondering if there is a solution for keeping them from monopolizing your time. Although your staff may be answering the calls, you’re the one tasked with finding solutions for persistent issues that damage your members’ user experience. Before you look at how to reduce support call volume, you should discover why they’re occurring in the first place. Some of the most common issues for LMS users are login difficulties, payment fails, and activities that are challenging to launch, finish, or review. When these problems are a regular occurrence, then they aren’t solvable individually—they’re the product of design flaw in your LMS. A good LMS platform will prioritize learner experience: the login design, order fulfillment process, and activities navigation will be simple, intuitive, and tolerant of human error. If your LMS has a complicated self-service option, then your members will likely call for help, rather than tangle with yet another frustrating element of your platform. FAQs should be used sparingly. An encyclopedic knowledge base may be comprehensive, but it’s unlikely to be read: an irritated learner won’t be in the mood to scroll through a long page to find the answer to a basic question. Creating an efficient self-service option is essential for your LMS users, but structural problems will continue to drive up support call volume until they’re fixed. Find an LMS that features a flexible, intuitive self-service design, and an integrated support ticket service for platform users. 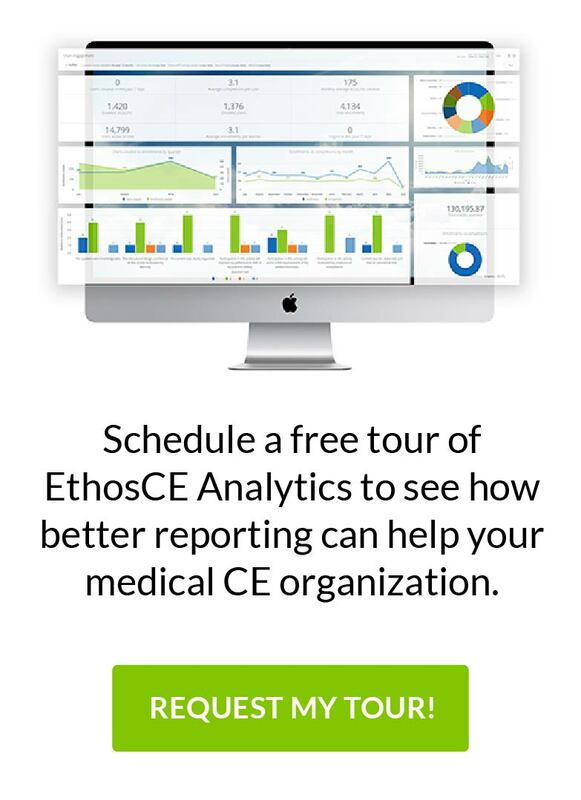 The EthosCE LMS platform allows CE coordinators to focus on developing exceptional CME programming by automating records management, data collection, member support, PARS submissions, and other critical tasks. Connect with usto learn how we can transform your workflow and help you achieve your goals. EthosCE LMS Compliant with ACCME Program and Activity Reporting System for Continuing Medical Education Why the Less FAQs the Better. Enhancing Medical Member Experience.